- Has a signal output indicator, Wide current detection range DC: 0-35. - Output overcurrent relays normally open and normally closed output. - Over-current signal is set to a full range of adjustable. - Converting analog signals sampled current output, which can be accessed ADC, TTL-level signal output can be connected to the microcontroller IO port control. - In addition to the module above the threshold adjustment potentiometer outside the other two potentiometers prohibit transfers. - Output: relay output; analog output (0-5V linear output corresponding to 0-35A). - With mounting holes for easy installation of firmware. 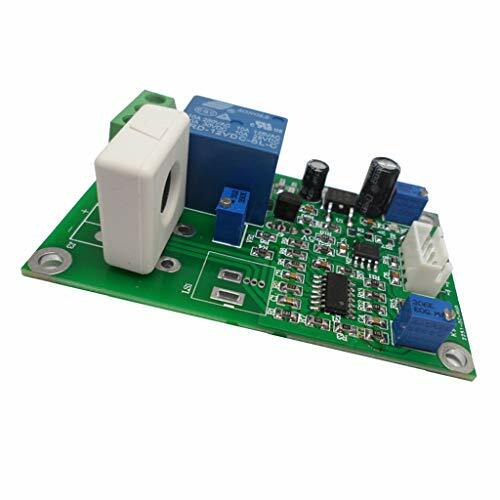 Has a signal output indicator, Wide current detection range DC: 0-35. Output overcurrent relays normally open and normally closed output. Over-current signal is set to a full range of adjustable. Converting analog signals sampled current output, which can be accessed ADC, TTL-level signal output can be connected to the microcontroller IO port control. In addition to the module above the threshold adjustment potentiometer outside the other two potentiometers prohibit transfers.